This bubbling cauldron of ancient magic may look silly and fun, but only until a mouse draws near... Then the magic activates and any curious nearby mice are grabbed and drawn deep within! The Witch's Brew Skin can be used on the Oasis Water Node Trap. The trap's stats (power, power bonus, attraction bonus, etc.) are not changed. The Witch's Brew Skin may be made available during the annual Halloween event and can be traded on the Marketplace or through Give To Friends. 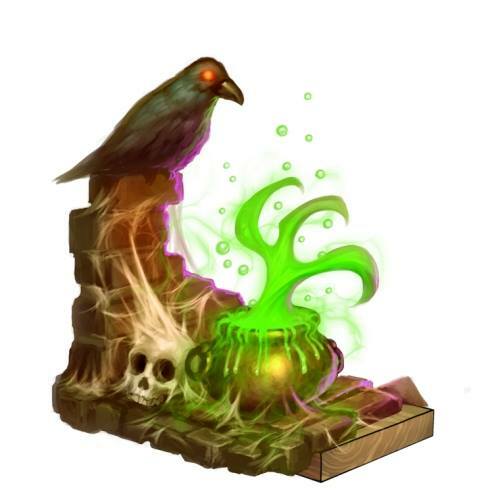 26 October 2012: The Witch's Brew Skin was introduced near the end of the Halloween 2012 event. It was dropped as loot by the Swamp Thang Mouse. This page was last edited on 9 December 2017, at 16:10.